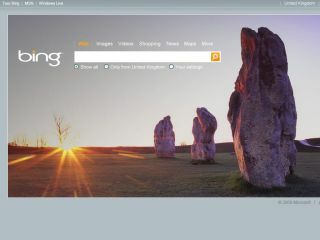 A senior figure at Mozilla has suggested that people switch to Microsoft's Bing search engine, after a comment made by Eric Schmidt from industry giant Google. Schmidt's suggestion that "If you have something that you don't want anyone to know, maybe you shouldn't be doing it in the first place" has inevitably drawn ire from those who think Google is not committed enough to privacy. And among those critics is Mozilla's Asa Dotzler, who blogged about the statement and suggested a move to Bing. "That a company with so much user data on its servers is led by someone who just doesn't understand privacy is really scary to me and it should be scary to you as well," blogged Dotzler. The blog, which links to instructions on how to change your Mozilla default search from Google to Bing, also includes a YouTube of the Schmidt interview, and the assertion that "There is no ambiguity, no 'out of context'" here. Google has traditionally had great links with Mozilla in the past, although the arrival of a rival browser in Chrome has obviously changed the two companies' relationship.